FAQs > The Swrve Service > What functionality is available with basic and advanced integration of Swrve? What functionality is available with basic and advanced integration of Swrve? Simply integrating the Swrve SDK and enabling push notifications enables you to track important metrics and run several effective campaigns, while advanced integration provides more in-depth tracking and additional campaigns. This article takes you through the various levels of integration, and lists the metrics and campaigns made possible by each. For developer information on how to complete basic and advanced integration, see the platform-specific Integration guide. Conversion – Remind new and evaluating users that they have downloaded your app and reference the value your app offers. Nurturing campaigns help increase user retention and prevent evaluating users from lapsing. Re-engagement – Bring users back into the app by asking relevant questions. When executed correctly, re-engagement campaigns are an effective way to convert lapsed and disappearing users. 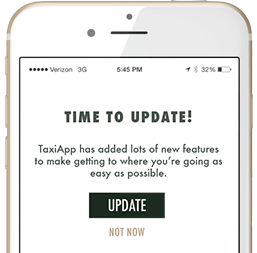 New app version – Encourage users to download the latest version of your app by mentioning new features and functionality. Users running the best version of your app are more likely to enjoy the experience. Real-world events – Prompt users with messaging relevant to real-world events or to live promotions they may be interested in. This is a great way to remind users of your app’s value and give them incentive to keep your app installed. New app version – Encourage users to download the latest version of the app at session start. This is a good opportunity to highlight the benefits of your app, and to emphasize you’re working hard to improve it. Rate my app – Ask frequent users if they’d be willing to rate your app. This helps increase your app’s rating, which can fuel a whole new level of organic growth as it becomes more discoverable and attractive to potential new users. Nurturing – Involve evaluating users every couple of days by highlighting the app’s different features when they open the app. This helps users understand the full value of your app, and ultimately increase conversion. Swrve makes it easy to optimize your campaigns to ensure they’re resonating with users and consistent with the tone of your brand. Within a single campaign, you can create and test different versions of in-app messages with different imagery and button placement, and then measure which one prompts the best conversion. Similarly, you can create different content for push notifications and see which version drives the most engagement. 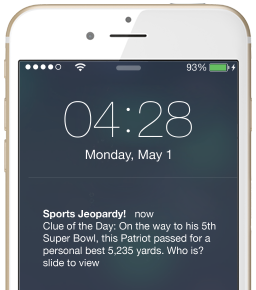 For more information, see A/B testing in-app messages and A/B testing push notifications. Whether you’re preparing a 24-hour promotional campaign that starts next month or launching a nurturing campaign today, Swrve enables you to send push notifications at the user’s optimal time—you can schedule the push for the same moment worldwide, at the user’s specific local time or at the user’s optimal time of engagement. For more information, see Creating push notifications. With basic integration, you can access the following key performance indicators (KPIs) and metrics. For more information on KPI reports, see Intro to KPIs. Running these campaigns and gathering these key metrics is possible because Swrve automatically sends certain events and user properties once you have integrated the Swrve SDK. For more information, see the platform-specific Integration guides. Swrve.session.start – sent when the user starts an app session. Sending in-app purchase (IAP) events to Swrve and adding your app’s Apple Bundle ID and Google Play Licensing Public Key to your Swrve dashboard(s) enables you to run several new campaigns and track a variety of monetization metrics. For more information on how to send IAP events, see the platform-specific Integration guides. Conversion – Reach out to non-paying users and offer them a discount on their first purchase. This is a great way to convert users into paying customers while demonstrating how easy it is to purchase items through your app. Re-engagement – Target users who haven’t made a purchase in a while and let them know about new products or sales they might be interested in. This type of campaign helps drive revenue and increase ARPPU, all while reminding users of the value your app provides. Rate my app – Since making several purchases is a tell-tale sign of an engaged user, use the IAP event to trigger a Rate My App campaign. This type of campaign is a proven way to increase your app’s rating, making it more accessible to potential users. Events are what make Swrve possible — they trigger in-app messages, help you define segments and power analytics. By sending custom events, Swrve can produce reports that tell you exactly how your users are interacting with your app, which enables you to run very targeted campaigns. For more information on custom events, see the platform-specific Integration guides. In addition to Swrve.session.start, Swrve also displays all app activity based on the custom events you send us. Once you start sending Swrve custom events, the Events report provides insight around which of your app’s features are most popular and which ones you might want to direct users to. You can construct funnels using the custom events you send to Swrve. Swrve’s Funnels tool provides the engagement rates for each point during a flow (a linear sequence of events), making it easy to identify pain points. Feature awareness – Briefly explain a feature in an in-app message and have an action button direct users to the page where they can access it. This increases engagement to new or underused parts of your app, showing the full value of your app to your users. Opt-in – Ask users if they’d like to opt-in for a specific permission (for example, push notifications, location, camera, contacts), and only present the system dialog to users who respond “yes”. This helps improve your push permission opt-in rate (among others), so you can engage with users outside of the app. Friend referrals – Increase downloads by having your most engaged users refer the app to their own network. Ask users to refer the app to their friends using their phone book contacts, Facebook contacts or contacts on other social channels. Content sharing – Encourage users to share on social networks to increase engagement, and virality, by getting those already inclined to share, to share more.